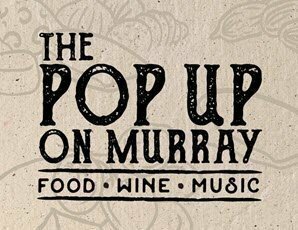 Be one of the first to join us at, The Pop Up On Murray’s long luncheon. An exclusive marquee, rustic chic decor, the aroma of fresh flowers dotted amongst candles and pots of oversized greenery. Music gently plays from across the dance floor. Your wine host greets you as your eyes scan the vast array of award-winning wines on offer. Should I start with a sparkling wine or a Riesling? Enjoy a regional luncheon by Sprout, created by the Barossa’s own foody son, Callum Hann. The team from Sprout will be putting a fresh twist to some of the regions best seasonal produce. Expect roving canapes, fresh paddock to plate mains, followed by dessert, shared regional cheese platters and tea or coffee. The luncheon is accompanied by three paired glasses of Barossa wine. Not sure which wine to choose? Ask your knowledgeable host any burning wine questions. Be lured to the dance floor by Little Black Dress. Accommodation available. Be sure to book early so as not to miss out. Small commuter bus transfers are available from the city and the local Barossa surrounds.